Money is a leading cause of stress, there’s no arguing it. The almighty dollar worries us more than work, family, and even our health, according to the American Psychological Association. Money-related stress isn’t just aggravating though. It has actually been linked to negative effects on health and longevity, and is also believed to contribute to poor decision-making. Why do so many of us succumb to money-related stress? If we’re not handling our finances to the best of our abilities, the shortcomings are often related to our saving habits. We spend too much and save too little, or don’t save anything at all. Every working-age adult should be able to lay claim to three types of savings, and should be committed to ensuring each of those accounts is properly funded. According to a study from The Pew Charitable Trusts, 55% of Americans have experienced a financial shock that left them struggling. In many cases, that hardship could have been avoided with an emergency fund. Emergency savings can provide a debt-free means to withstand financial shocks such as long-term illness, job loss, and unforeseen auto or home repairs. However, for many people, that type of safety net is a foreign comfort. Less than half of the respondents in a Federal Reserve survey were capable of covering a $400 emergency without borrowing money or selling something, which means far too many people are living in an extremely risky predicament. Every household should have enough emergency savings to cover at least three to six months’ worth of bills and expenses. Some people are more vulnerable and may need to save more, including contract workers, people who are self-employed, single parents, and couples with one income. When calculating your monthly costs, be sure to include everything you need to pay for, from food and transportation, to the mortgage and electricity. Don’t forget periodic expenses as well, such as property taxes and biannual auto insurance payments. 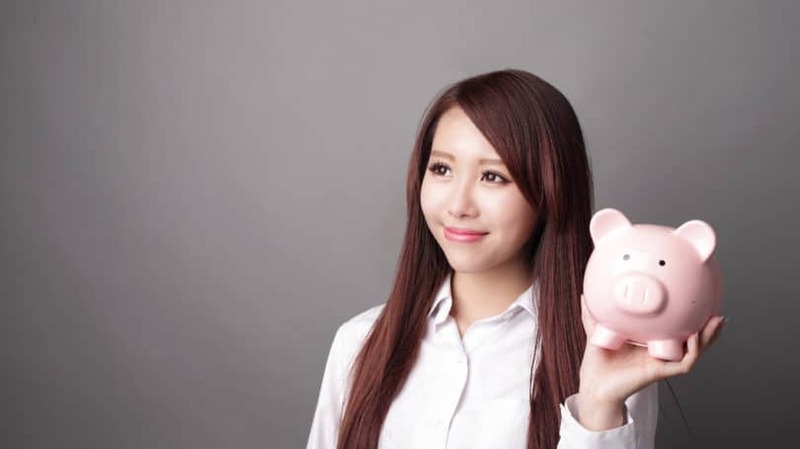 According to Bankrate, Gail Cunningham, spokeswoman for the National Foundation for Credit Counseling, advises that you save at least $100 per month or 10% from each paycheck until you reach your goal. Once you achieve your objective, you can stop contributing. However, you should also increase your fund from time to time to account for changes, such as rises in the cost of living or additional financial obligations. If you have $15,000 stashed away to cover monthly expenses of $2,500 for six months, that may be adequate for several years. But if buying a new car increases your monthly expenses to $3,000, you’re going to want to start contributing to your emergency fund again until your account holds at least $18,000. 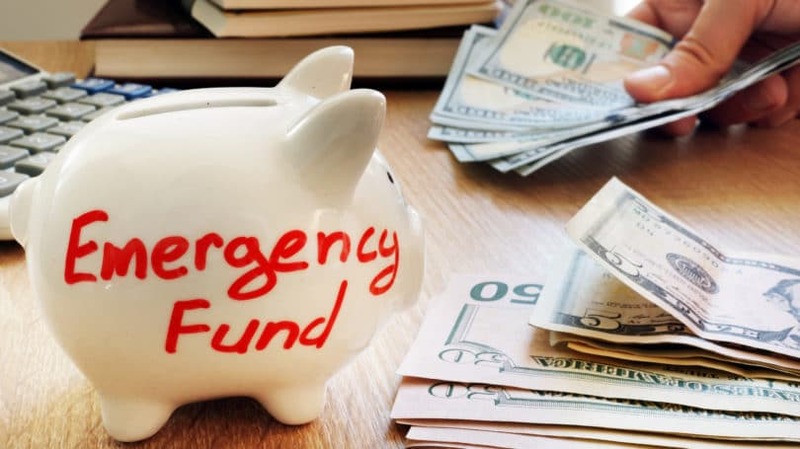 Your emergency savings should be readily accessible, which means many high-yield financial products, such as mutual funds or individual stocks, are not appropriate. However, you should always aim for the savings vehicle with the best available rates of return. For example, you should choose a money market account if the interest rates are far better than a regular savings account. Putting your money in CDs – preferably those that are penalty-free – is another option. If you’re considering a CD that is subject to penalties when you cash out mid-term, weigh the fees and the interest rate against the return you would get from other highly liquid options. For example, if the CD’s interest rate is notably higher than that of a savings account, put a portion in the high-yield CD and keep another portion more liquid. If an emergency strikes, you can pull out of the no-penalty fund until the penalty reduces or expires on the CD. Many people are ill-prepared for retirement because they either aren’t saving enough or aren’t saving at all. 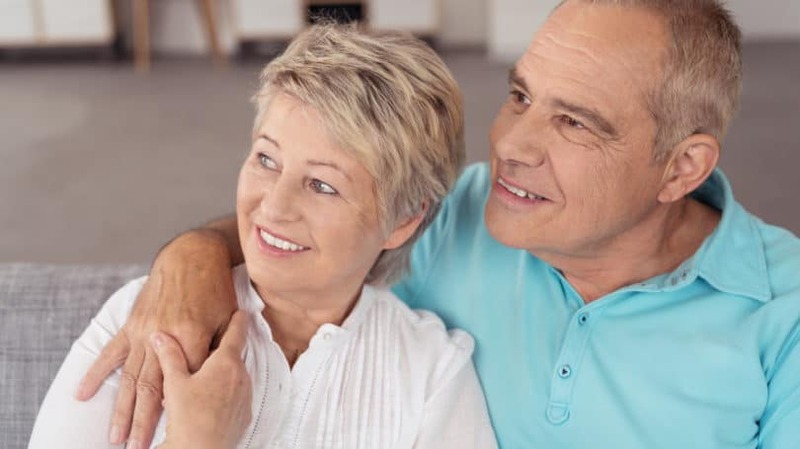 The Consumer Federation of America found that only about half of non-retired people are stowing away sufficient funds to support what they consider a “desirable standard of living” when they retire. Hopefully, the masses aren’t expecting to rely on Social Security if all else fails. Social Security is designed to be supplemental, not a primary or sole source of income. According to U.S. News & World Report, the average Social Security payment in 2014 was only $1,300 per month, which means retiring comfortably calls for more than just government benefits for most people. Don’t procrastinate thinking you can simply play catch-up later. The older you get, the harder it is to get on track. Every working-age adult should be contributing to a retirement fund now. And don’t let youth encourage delays – time is only on your side if you’re saving, and waiting has serious opportunity costs. Two people can contribute the same amount toward retirement but end up with drastically different results if they start saving at different times. If you put away $1,000 when you’re 25, it will grow to more than $20,000 by the time you’re 65, assuming an 8% percent annual return. If you save $1,000 at 35, however, it will only grow to $10,000 by age 65. The power of compound interest, which means your deposits and previous interest continue earning additional interest, is the best reason to start saving sooner rather than later. There’s no one-size-fits-all answer for the right amount of retirement savings. Many financial professionals suggest siphoning between 10% and 15% of your income, but that rate can be affected by numerous circumstances, such as how much you earn and when you begin saving. Do you plan to live in a rural or urban area? Will you stay in a home you own, or will you live in a retirement community? Are you postponing all your dreams now and expecting to travel and live a luxurious life when you retire? Or are you planning a simple lifestyle where you mainly stay within your community and babysit grandchildren? Don’t forget to consider the average lifespan of people in your family. As a general rule, women are advised to amass more savings because they tend to live longer. Figuring out how much money you’re going to need helps you outline a contribution plan during your working years. But remember, the older you are when you start contributing, the more you’re going to need to set aside each month. Retirement planning tools and calculators such as those offered by AARP and Charles Schwab can also be helpful in determining how much you need to save for retirement based on your current circumstances, future plans, and other factors, like taxes. Each dollar you save is going to be worth less by the time you retire because inflation will whittle away the value. You must beat inflation and prioritize growth. That means playing it safe by hoarding cash is a definite no-no. And as long as we’re in this pitifully low interest rate environment, you can also forget about conservative options, such as Treasury bonds and savings accounts. For adequate growth, you need to take risks, which generally involves putting money into the stock market. How much you should invest depends on how close you are to retirement and the amount of money you’ve amassed to this point. Take advantage of company-sponsored retirement programs, such as 401ks, and always contribute whatever is necessary to get any funds the company offers to match. If you can’t access a retirement plan at work and don’t know much about stocks, don’t worry. There are plenty of professionally managed products, such as managed mutual funds and index funds, that you can access through brokerage firms like Fidelity Investments or Capital One Investing, and you can invest in those products via a Roth or traditional individual retirement account (IRA). Qualified retirement plans like these allow you to take advantage of tax-deferred growth – while funds are invested in the account, you aren’t required to pay taxes on any capital gains or interest earned. Contribute the maximum amount that the IRS allows each year into your IRA or employer-sponsored plan so you can get the tax advantages and maximize compound interest. With a traditional IRA, you’re generally able to deduct contributions from your income. That means you pay tax on the money when you withdraw it during retirement, but you don’t pay any tax on your contributions in the year the money is earned. With a Roth IRA, you pay income taxes now, but once you retire you can make tax-free withdrawals. If you reach the annual maximum for IRA contributions and you still have additional funds to invest, put the money into a taxable brokerage account. Be sure you understand that retirement accounts are different from a regular savings or investment account. The funds aren’t meant to be tapped whenever you get into a bind. If you take early withdrawals, you’re going to have to pay a penalty – there are only limited exceptions to this rule. Also, be sure that your saving and investment strategy fits your goals and circumstances. Young savers and late-starters who want major gains may find it best to invest heavily in aggressive, high-risk products that offer higher yields. 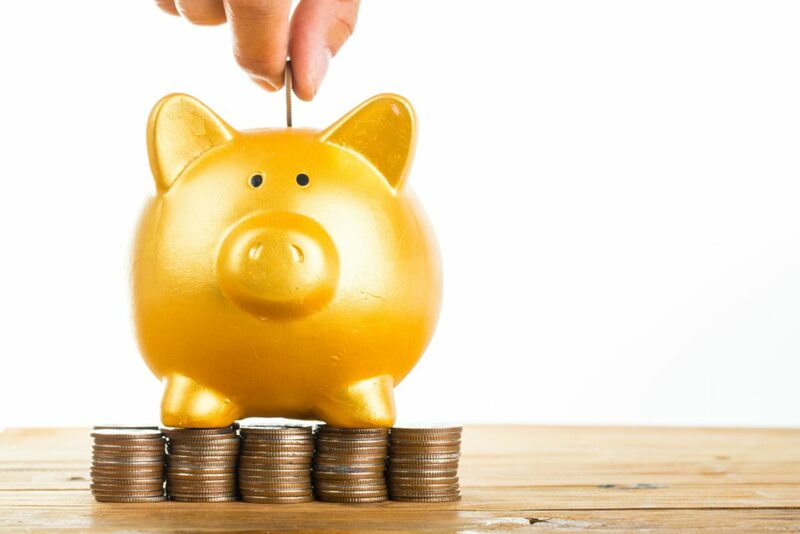 On the other hand, long-term, consistent savers may find it most appropriate to hold some cash in a savings account while investing the remainder in moderate-risk products and then switch gears to low-risk products as they approach retirement age. It’s a good idea to consult a financial professional on these concerns. And, no matter how you develop your retirement saving strategy, remember to review it periodically to ensure you’re on track. Since retirement and emergency accounts are supposed to be off-limits, where do you get money to buy a new car, update your wardrobe, or go on vacation? From your personal savings. Think of a personal savings account as a comfort cushion. It’s where you should house income that’s left after you’ve taken care of all your responsibilities. It’s also where you should save for major purchases or expenditures, such as home renovations. During the recession, people were cautious and got into the habit of stashing cash. However, Federal Reserve data shows that between 2010 and 2014, as the financial pangs faded, personal savings rates drastically declined. 45% of people in the Federal Reserve survey cited earlier admitted that they didn’t save any of their income in 2012. Americans are once again becoming spenders rather than savers. People are allowing bills and expenses to claim larger and larger portions of their income, and as they do, debt levels are rising. There’s nothing wrong with pursing the things you want – but doing so without regard to your security creates financial risks, promotes debt, and is the main reason so many people are unnecessarily living from paycheck to paycheck. Personal savings shouldn’t just be a temporary reaction to a financial crisis, but rather a way of life. Adjust your personal savings contributions to suit your current circumstances. Figure out what’s comfortable by calculating all your bills and necessary expenses. Don’t forget to factor in contributions to your retirement and emergency accounts. See how much money you have left and deduct a reasonable amount to use as spending money. Then, make a monthly personal savings commitment. Increase it if you want to reduce your spending, decide to save toward a major purchase, or if you get a better-paying job. However, don’t be so quick to reduce your savings just because your account gets fat. There’s no such thing as having too much savings. If you have emergency, retirement, and savings accounts, it may seem like you’re stashing abnormally large sums of money away. However, financially mature Americans recognize that it’s better to have money in the bank than to indulge in every desire. If spending is a real weakness of yours, set up automatic deposits to help yourself live up to your savings commitments. You can either have your employer divvy up your paycheck between multiple accounts before you touch the money, or you can set up automatic deposits from a main bank account into your other accounts. Do whatever it takes to ensure your financial stability, even if it means resisting your temptations – no matter how much you think you deserve them. 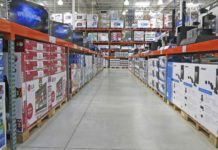 Are you saving like you should? If not, are you ready to make a change?